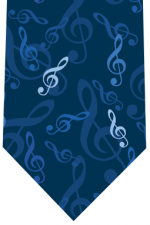 There is a page for Musician Neckties with bands like The Grateful Dead, Pink Floyd, The Beatles and The Rolling Stones. There are also ties for performers like Elvis and by multitalented artist/musicians like Miles Davis. There are also general ties showing musicians performing. 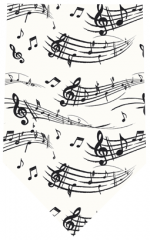 Another page with Music Instrument Ties shows ties with instruments from all sections of the orchestra.